On the last post I talked about my experience eating Creme Brulee French Toast at Cheesecake Factory. What I didn’t mention was, while I ordered the french toast, Jake ordered Orange Glazed Chicken. I tried to talk him into a breakfast/brunch item, but he wanted Orange Glazed Chicken. Jake and his friend Tanner LOVE, Panda Express. Oh my. I’m just going to leave it at that. What’s better than Orange Chicken at Panda? 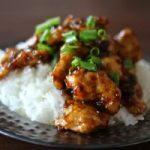 How about Orange Chicken at home! Way better. I looked up recipes for Panda Orange Chicken (which btw is their #1 ordered menu item). I played with a few ideas and came up with my own (able to pronounce every ingredient) version. Grant, Stephen and I thought this was delicious. Jake still likes Panda’s better. Mix the egg, salt, cornstarch, flour and cold water together in a bowl with a whisk. The batter should be smooth and about the consistency of pancake batter. Place the chicken pieces in the batter all at once. Mix thoroughly. Heat oven to 350 degrees for warming chicken. Heat the oil in a wok or other deep pan on medium high heat, or about 350-375 degrees. When the oil is hot, cook chicken in batches (about 4 batches total) place chicken in pan and cook for about 1-2 minutes or until cooked through and light golden. Drain onto a pan lined with paper towels. In another pan, make the orange sauce. Heat soy sauce, sugar, cider vinegar and orange zest together in saucepan. Cook over medium high heat until boiling. Reduce heat. Whisk o.j. and cornstarch together in a cup. Pour into hot vinegar mixture. Cook until thickened. Thin a bit with oj if needed. Turn off heat, leave pan on burner. Using a frying pan, heat the sesame oil, ginger, minced garlic and red pepper flakes over medium high heat. Cook for about one minute or until fragrant. Add rice vinegar, green onions, and water. Add cooked chicken pieces all at once. Cook just until chicken is coated. Remove from heat. Serve chicken with orange glaze over sticky rice. Garnish with remaining green onions. 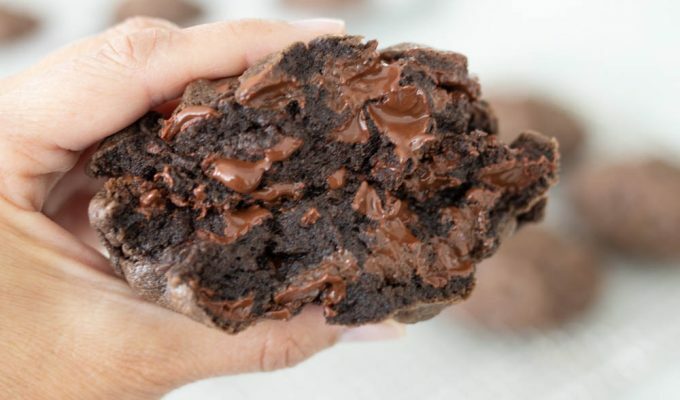 Tried this recipe last night and we loved it! Laurie! I'm glad you and Ray loved this. Miss you both! You're a rockstar! My family loved this, especially the teenage boys. They thought it was better than Panda's! Seriously, though, my family loves when I try recipes from you're blog-they're always tried and true & consistently good! My 7 year old said, “This is heaven” after his first bite! Next time I make it I will double the sauce to pour over the rice. So happy to find this recipe! I’m sorry, I’m not understanding the directions. At the end of the recipe, when you put the chicken into the rice vinegar mixture, do you take it out of that mixture once its coated?…and then stir the chicken into the glaze? Hope that makes sense! Thanks! The glaze is made and then the chicken is added or the sauce poured over the top. Hope this helps! This was so tasty… but my batter did not stick to the chicken once I put it in the oil to cook. Do you have any tips about that? Thank you! I love your recipes!!! Hi Annette, if the batter came off, then the oil probably wasn’t hot enough. I would make sure it’s at high heat before adding the chicken. Hope this helps and thanks for asking!